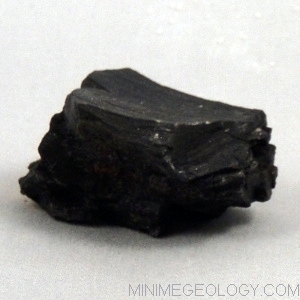 Lignite coal is the lowest grade of coal and is brownish-black in appearance. Coal forms from organic carbon in plant material like peat. As the peat is squeezed at low temperatures, lignite rocks form as a result. Sometimes called “Jet,” this sedimentary rock is used a gemstone and a fuel. An information card with details on the rock formation, mineral content, characteristics, and uses is included. Typical samples sizes are generally 1-2 inches in length or width but can vary based on availability and natural formation.